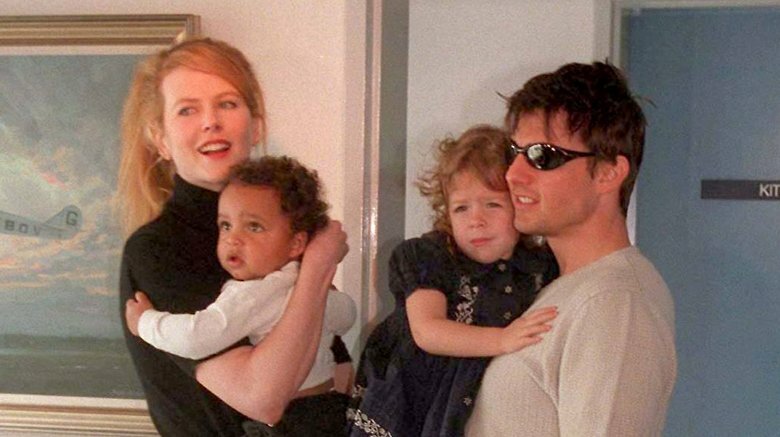 Famed actress Nicole Kidman has opened up about the children she shares with ex-husband Tom Cruise — Bella and Connor Cruise — and just how she feels about their connection to the Church of Scientology. In an interview with Who magazine published on Thursday, Nov. 8, 2018, Kidman commented on Bella and Connor's beliefs in Scientology — a hotly contested organization of which their movie star father is, perhaps unofficially, the face of. "They are adults," Kidman told the Australian publication, regarding her kids. "They are able to make their own decisions." The Big Little Lies star continued, "They have made choices to be Scientologists and as a mother, it's my job to love them." Kidman went on to describe herself as tolerant, explaining that she believes it's a parent's responsibility to love their child regardless of any differing personal beliefs. "I think that's so important because if that is taken away from a child, to sever that in any child, in any relationship, in any family — I believe it's wrong. So that's our job as a parent, to always offer unconditional love." In the interview, Kidman also stated, "I know 150 per cent that I would give up my life for my children because it's what my purpose is." Kidman hasn't spoken much about her two adopted children publicly since she and Tom Cruise split in 2001. As noted by Yahoo! Entertainment, it was thought that Kidman had had much contact with Bella, 25, and Connor, 23, for several years. Actress and former Scientologist Leah Remini had speculated that Bella and Connor were not allowed to communicate much with their mother because Kidman was allegedly labeled a "suppressive person" by the Church of Scientology. Any bad blood that appeared to be between Kidman and Bella, however, seemed to be squashed by February 2018 when Bella named her clothing line "Bella Kidman Cruise," honoring both her mother and father. Besides Bella and Connor, Kidman is also mom to 10-year-old Sunday Rose and 7-year-old Faith Margaret with husband and country music singer Keith Urban.